Ed Ritger / CC BY 2.0 Playwright Tony Kushner. Last month, at the Panasonic Theatre in Toronto, I attended the finale of Ayad Akhtar’s 2012 record-breaking Pulitzer Prize-winning play Disgraced—which now stands as the highest-attended play in the venue’s history. Disgraced tells the story of a refined, highly assimilated Pakistani American lawyer who is forced to rethink his Muslim identity when a relative asks him to advocate on behalf of an Imam who has been accused to aiding terrorists. The world of theatre—and the performing arts more generally—is dominated by progressive political viewpoints. But Disgraced surprised me. During a tempestuous dinner-party scene that dominates the plot, Muslim and Jewish characters take turns showing us their best and worst sides. They try hard to suppress their tribalistic hatred for other groups—and then turn their hatred inward when they inevitably fail. The play completely eschews simple, syrupy lessons about tolerance, and pushes audience members to think about whether immigrants can ever truly assimilate into a new society. 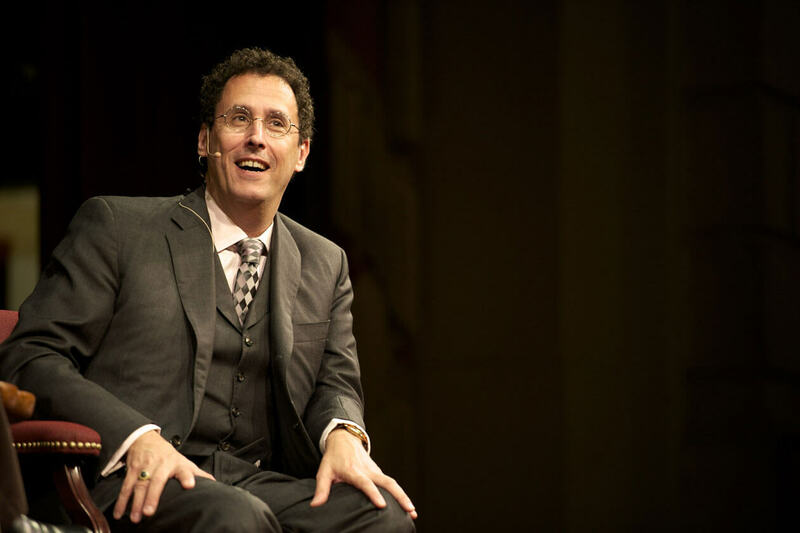 Three weeks later, on May 9, I returned to the very same Panasonic, this time to hear another Pulitzer Prize-winning playwright—Tony Kushner—speak about the state of modern theatre. Kushner, best known as the creator of Angels in America and the screenwriter of Lincoln and Munich, did not speak specifically to the example of Disgraced. But his theory of art and activism explains the success of Akhtar’s blockbuster perfectly. Akin, the founding director of Obsidian, Canada’s leading black theatre company, had asked Kushner to comment on a photo showing him protesting at Columbia University in 1978. Akin described the idea of protest as being at the core of Kushner’s work—much in the way the hair of magical creatures sits at the core of the wands in Harry Potter’s imaginary universe. But Kushner pushed back on the compliment, urging a sharp distinction between the worlds of activism and art. As Kushner was reminded in Toronto, his adage that art and activism should be pursued on separate tracks is not universally embraced. In the lead-up to his appearance, UJA Federation of Greater Toronto—a Jewish group that provides an annual grant of $250,000 to the Koffler Centre—publicly disassociated itself from the event, citing Kushner’s role on the advisory board of a progressive group that endorses the Boycott, Divestment, and Sanctions (BDS) movement against Israel (despite the fact that Kushner, in his personal capacity, has said he opposes BDS). The Koffler Centre stood firmly by Kushner, and the event itself was well-attended. When Akin asked Kushner a question about the UJA’s reaction, the crowd seemed to burble audibly even before he answered—suggesting that at least some of the attendees may have shown up specifically to show support for a left-wing thinker who was being attacked for criticizing Israel. Not everything was this heavy on Monday night. At one point, for instance, Akin and Kushner spent about five minutes discussing their shared love of fountain pens (a subject that had my audience companion, who is also my boss, and who uses a ballpoint, loudly grumbling for the speakers to “move on”). Kushner owns about 120 fountain pens, apparently. Akin has upwards of 500, and actually helps run an annual fountain-pen-themed event here in Toronto. We also learned that Kushner got his first fountain pen for his bar mitzvah (a Parker 75), and that he possesses one specimen that once was used by Arthur Miller. “That can be fixed!” said Akin, with much enthusiasm. “Actually, I figure that when I get older, and reach a certain age, I will a pick a much younger playwright and give the thing to him,” said Kushner.